Promotional film produced in partnership with London Health Commission, University of East London, Groundwork London, NHS, Arts Council England, CYMCA and London Sustainability Exchange. Short film and documentary are powerful ways of promoting awareness of a particular issue or campaign. Having produced films and projects for organisations as diverse as Amnesty International, Wellcome Trust, Groundwork London, NHS, Joseph Rowntree Foundation, Council of Europe and Channel 4, we have the experience to help you produce a film for a variety of purposes (click here for a portfolio of our short films). Our films have varied wildly in terms of subject matter, but our most often revisited and specified areas of interest are social justice, health, media representation, inequality and disadvantaged young people. If you are looking to produce a campaigns video, or to document your campaign, Spectacle is enthusiastic about supporting good causes. We operate on a sliding scale, so please get in touch for a quote. 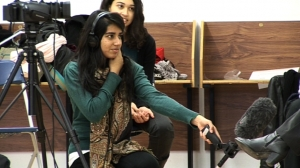 Spectacle also has a long history of participatory filming workshops and training both in the UK and Europe, and participants have had their films screened in institutions across Europe. Many of our projects, including the Silwood Video Group and Marsh Farm, have been continually active for a decade or more, providing communities with a voice to tell their own stories. Our recent collaboration with the Joseph Rowntree Foundation - Poverty and Participation in the Media, explored the perception of poverty in mainstream media, ending with a very active presentation and debate of the project's material between media industry and outsider representatives. We are currently working with young ex-offenders in collaboration with The Howard League on a film workshop project on penal reform. We are always looking for new partners to work on exciting projects with. Please see our CV for a full list of clients and the work we have done in the past.